Russia gained control over the territory of the Ukraine after s bloody war fought with the Poles, Turks, and Cossacks. Initially, the Russians allowed the Cossacks to continue to govern the territory as a Hetmanate. 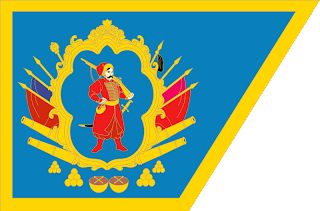 The flag the Cossacks used a blue field edged in gold, with a Cossack soldier within a gold surround. The Hetmanate was abolished in 1764, and control was centralised in Moscow. However, after WWI, with the fall of the Russian Empire, and the ending of the Austrian Empire, several Ukrainian states became independent. In 1917, the Ukrainian Peoples Republic came into being, taking the popular light blue and yellow, and forming them into a horizontal bicolour, with yellow on top, and blue underneath. There was also the Western Ukrainian Republic, which had a similar flag, however, the colours are reversed, and the blue is a darker shade. Following the Polish Ukrainian War, The Western Ukrainian Republic was absorbed into the the new Poland, and in 1919, the Ukrainian People's Republic was absorbed into the Soviet Union. 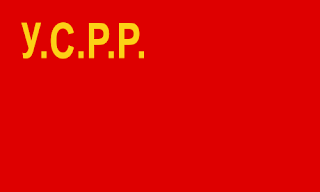 The flag was changed to a Red Banner, with the letters YCCP printed in gold in the upper hoist canton. 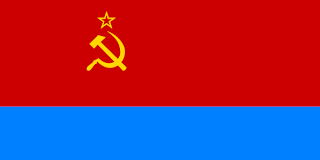 Then, in 1937, the flag was altered again. 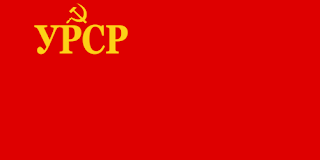 This time, the letters where changed to YPCP, and now, the Soviet hammer and sickle was placed above the text. 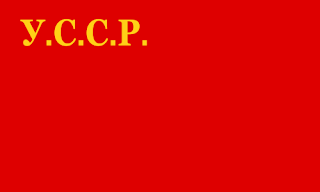 In 1949, the flag went its last alteration. This time, removing the text, and leaving the hammer and sickle. However, this time, the bottom third of the flag was given over to a wide light blue stripe running along the bottom of the flag. 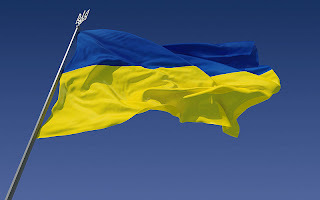 Under Perestroika, the Soviet Republics where encouraged to pursue their own identities, and in 1990, the Ukrainian bicolour flag made a return, and in 1991, with Ukraine gaining its independence, the flag became the flag of a free Ukraine once more. With blue on top, and yellow underneath. There is no real reason behind the colours, however, the common expression of "Blue sky, over yellow wheat fields" is heard quite often.